Our client, a large insurance company, merged with the other insurer. They needed to complete an OpenText Exstream 16.2 migration project to transfer content assets of its subsidiary to StreamServe, which was the parent company’s CCM platform. Our client needed a solution that would help them avoid any gaps in cooperation with customers despite the necessary changes in their ERP tools. Therefore, their main requirement was to deliver a CCM solution that would integrate content assets from two different systems. N-iX experts designed and implemented the new architecture to provide the client with the unified platform for both their solutions. This allowed our partner to preserve all the features of both HP Exstream and StreamServe, streamlined their operations, saved a lot of time and resources. Since the acquisition of HP Exstream by Opentext in 2016, and Exstream 16.2 release in 2017, all Exstream Design and Production customers acquired lots of new benefits from the unified platform (Exstream and CCE/StreamServe). One of N-iX customers, an insurance company that was using StreamServe merged with another insurer that was using HP Exstream 9.5 as the main document distribution tool for their ERP. Our client needed a solution that would help them avoid any gaps in cooperation with customers. Therefore, their main requirement was to deliver the solution that would integrate content assets from two different systems. The natural decision was to merge both solutions in Exstream 16.2. StreamServe classic and Exstream classic were merged into Exstream 16.2, but they still run there as two separate engines. Therefore, the challenge was to combine these two projects, even after they were both upgraded to Exstream 16.2. First we updated Exstream application to version 16.2.1 to add new connectivity and transformation features and improve reliability by applying hotfixes. Then we updated StreamServe that the client was using to version 16.2 and adjusted it to new Exstream architecture by using Opentext Directory Services(OTDS) and Communications builder. 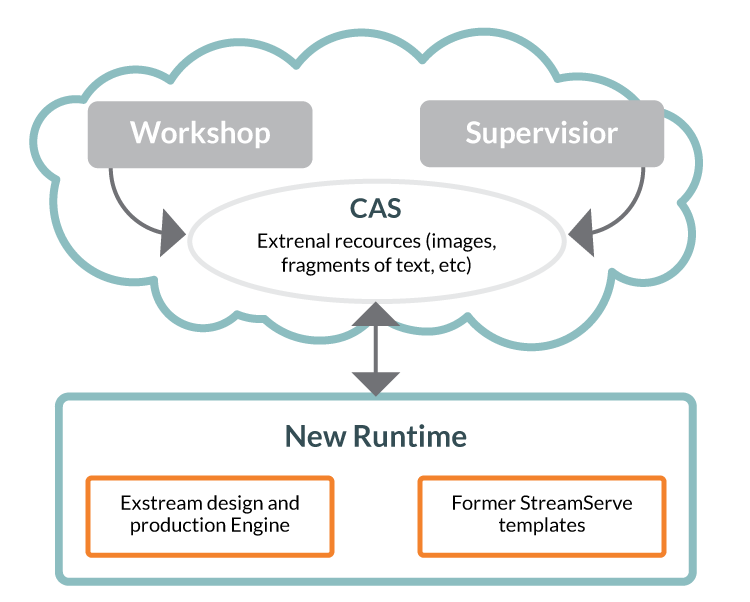 After that the architecture was ready to use CAS as the central repository of external resources, so we rebuilt former Exstream part of the project to use all images from CAS browser. 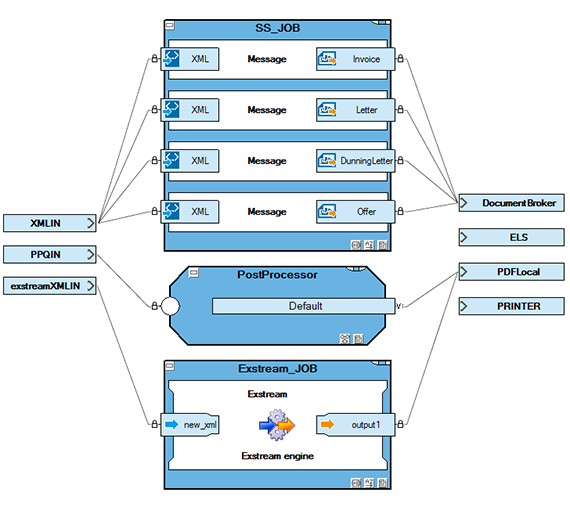 Finally, we integrated Exstream package into the solution as a Processing Engine. This allowed us to set up a parallel process of documents generation. So the spool of previously created documents was generated using the existing Exstream package. Meanwhile other documents were generated by means of former StreamServe. After implementing the new architecture, the client was able to use such new web applications as Workshop and Supervisor to let management interactively control the process of document distribution. For one thing, migration to Exstream 16.2 let our customer use a unified platform for both solutions. For another, it allowed them to preserve all their current features of HP Exstream and StreamServe applications. Therefore, the solution we developed gave our customer the synergy effect by merging two businesses. The company can now leverage wide functionality of Version 16.2 including integrations with OpenText Enterprise Information Management (EIM). Thus migration to OpenText Exstream 16.2 allowed our client to take advantage of many new features, streamlined their operations, saved a lot of time and resources.